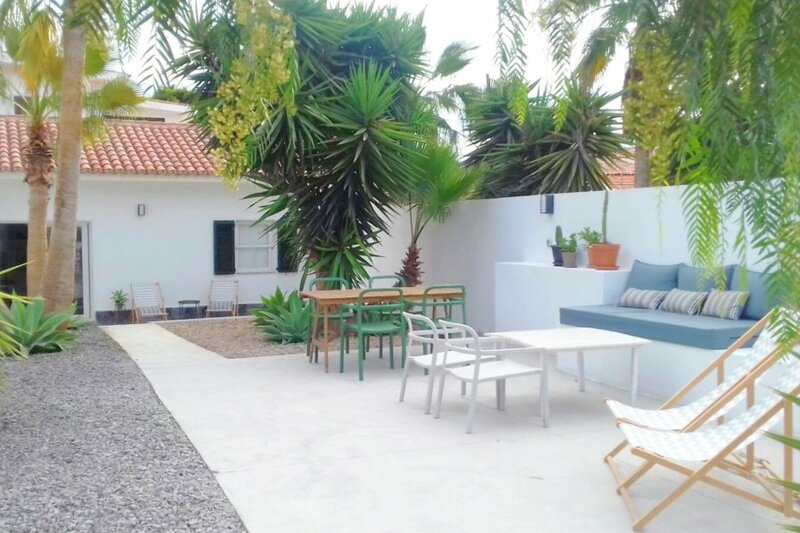 In a rural setting, only 2 km from the coast, this 100.000m² finca is located nearby Palm Mar on the sunny south coast of Tenerife. The finca is still dedicated to banana cultivation and is flanked by unique natural areas in the south of Tenerife. A landscape full of natural beauty and a very quiet place to relax on holiday and leave the stress behind. The finca has a very old tradition dating back to the 5th generation. A time when there was no tourism in Tenerife. In the heart of the finca there are several small houses with 1-2-3 bedrooms. The smaller houses were formerly for the workers of the finca, the large house inhabited the family itself. Each house has been restored, beautifully furnished, has its own private access to the property and a beautiful outdoor area. Palm Mar is a small quiet resort between Las Galletas and Los Cristianos. Here you will find small natural bays, a beautifully landscaped beach bar with sun loungers and a beach promenade that invites you to walk at any time of the day and to wonderful sunsets in the evening. The beautiful one bedroom house, has everything you would need on holiday: dishwasher, oven, large fridge with freezer, coffee maker, toaster, kettle, etc …. further a nice interior design in the living area. Here, harmoniously modern elements blend with traditional ones. Flat screen TVs with satellite channels, WiFi, bathroom has a shower, sink, toilet and hair dryer. Terrace is in front of the house, with garden furniture. You will find peace and privacy on your holidays.